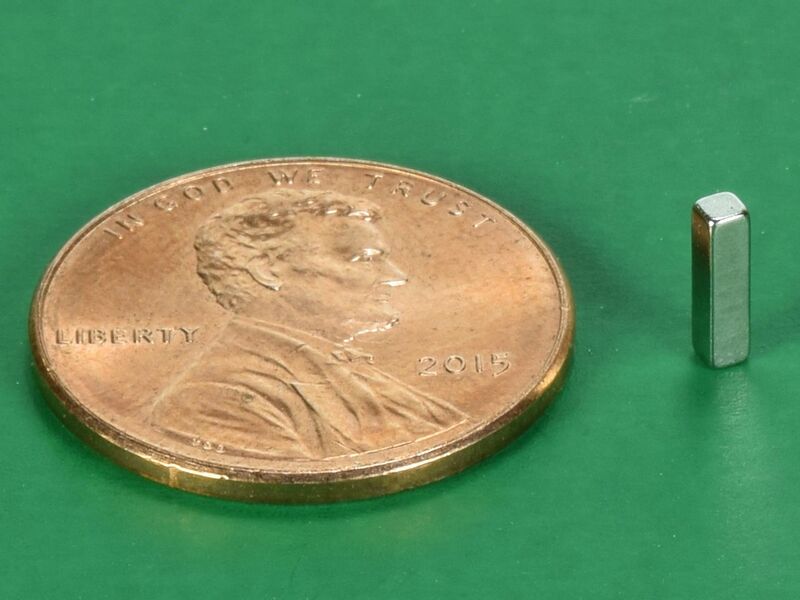 These very small blocks are magnetized through the 1/4" thickness. The poles are located on the small 1/16" x 1/16" faces. 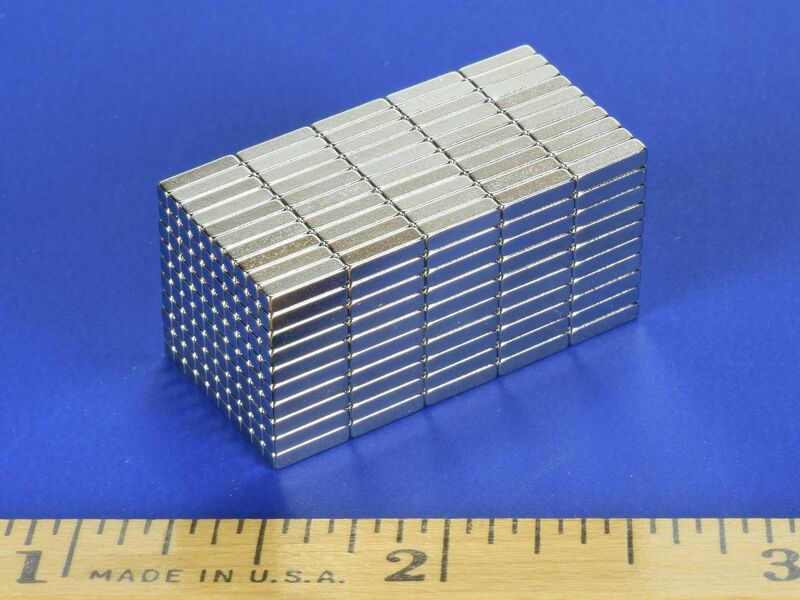 Just one of these small blocks will hold a standard 8.5" x 11" sheet of paper to a refrigerator.